It's easy to want to save money when it comes to car repairs. Oil changes and fluid replacements are simple tasks that many people do in the comfort of their own garage. Major repairs, however, are not something that should be done at home. Simple mistakes can lead to bigger issues and costlier repairs in the long run. 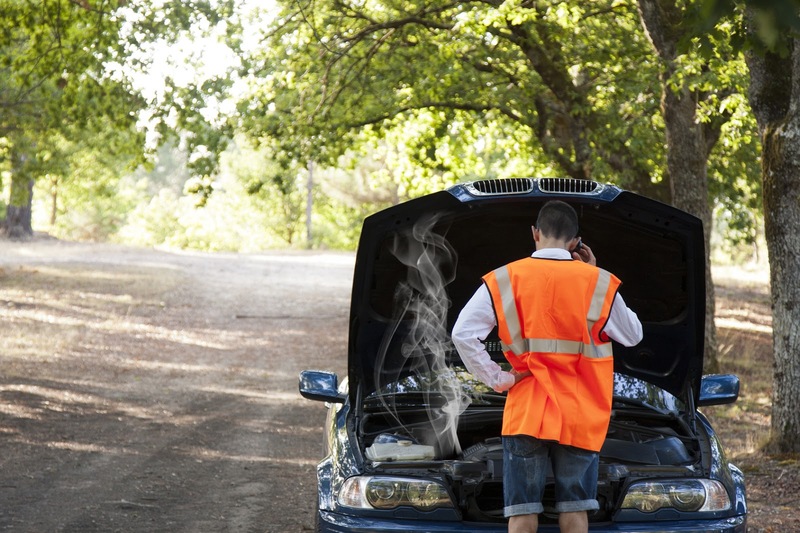 Here are three car repairs you should never try at home. 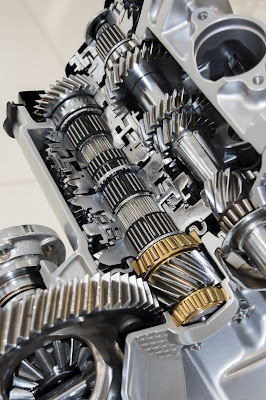 Your transmission is one of the most intricate parts under your hood. Transmissions consist of thousands of small parts, and narrow passageways for hydraulic fluid. With so many parts and pieces, all essential to the performance and functionality of your transmission, there is a lot that can go wrong, and none of the scenarios are kind to your pocket. Transmission repairs and maintenance should be left to professionals well versed in the intricate workings of this particular part. For your engine to run properly, it is essential that the necessary valves open and close at the appropriate times your engine intakes and exhausts. The synchronization of these valves are controlled by the crankshaft or camshaft(s), which are controlled by... you guessed it, the timing belt. Most manufacturers recommend replacing your timing belt every 60,000 miles or five years, whichever comes first. Trying to do this replacement at home can be much more expensive than taking it to a certified mechanic. If the top half of your engine (the cylinder head and valves), cannot sync with the bottom half of your engine (the crankcase and pistons), your vehicle will not run properly, if at all. At first glance, it may look relatively easy to replace parts like struts, arms, and bushings at home, but looks can be deceiving. Not only does replacing suspension mechanisms at home pose the risk of damaging important components, but it also comes with the risk of physical harm (like when dealing with compressed coil springs). Even if a home mechanic is able to successfully replace suspension components, odds are that they do not have the equipment needed to properly align their wheels and get the job done right. Your best bet is to have your suspension issues repaired or replaced by a certified auto shop where the necessary equipment is available. Bad suspension can do more than make your ride bumpy, it can lead to more issues than you had when you began. What does it take to be the best? We calculate which cars have the best Overall Score in categories from subcompact to luxury SUV to find Consumer Reports 2016 Top Picks. Normal daily driving subjects cars to a lot of wear and tear. Even a small malfunction of one part makes a huge difference in performance and safety. Recommended tune up intervals vary depending on the age and model of the vehicle. Check the owner's manual for specific recommendations. Most newer vehicles need a tune-up every 30,000 miles. Check older vehicles every 10,000 to 20,000 miles. Tune-up the car more often if it pulls heavy load or if it is used for a lot of stop-and-go driving. 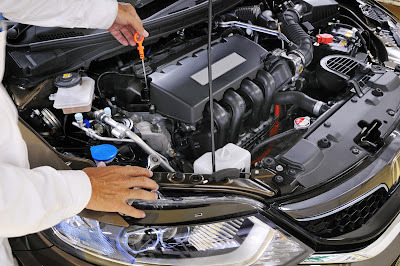 A typical tune up involves flushing and filling vehicle fluids, checking all belts and hoses, checking the battery, installing a new air filter, adjusting or replacing spark plugs, and checking fuel injectors and other components. 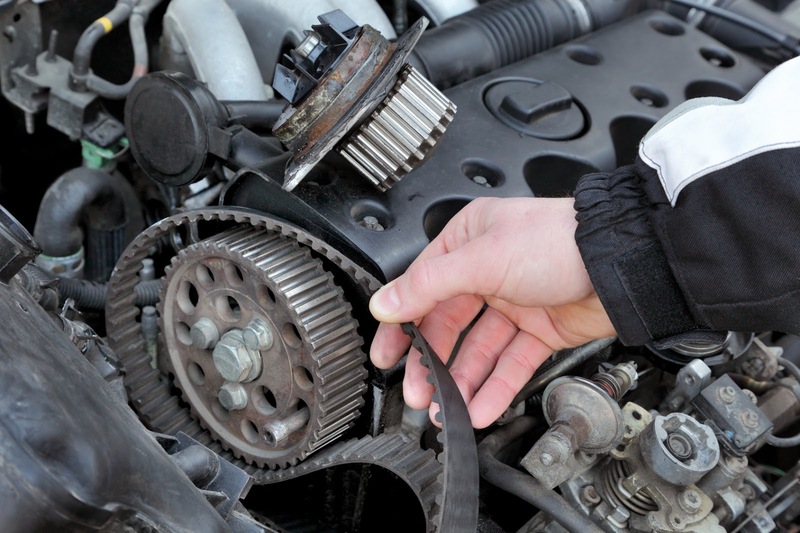 Mechanics also use modern automobile diagnostics that reveal other maintenance issues. • The "Check Engine" or "Service Engine Soon" lights come on and stay on after starting the vehicle. • The car stalls frequently, indicating a spark plug or electronic sensor issue. • The engine idles roughly, or it runs unevenly during acceleration. Sputtering while accelerating or going uphill indicates the car needs a tune up. Often a dirty emissions system causes cars to sputter or stall. • The car becomes harder to start. This may indicate problems with the starting system, battery, fuel system, ignition system, or electronic equipment. • The vehicle suddenly gets lower gas mileage than usual. Dirty fuel filters, bad fuel injectors, and spark plug problems commonly cause unexpectedly low gas mileage. • The car makes a loud squealing noise when the steering wheel is turned, or the steering feels very stiff. Low fluids affect how the steering mechanism operates. • The vehicle makes a sudden jerk when shifted from park to drive gears. This indicates the car needs the transmission fluid and filter changed immediately. Failure to fix these minor items leads to very costly repairs in the future, including transmission replacement. • The brakes feel soft or spongy, or squeaking or squelching noises occur when pushing down the brake pedal. This indicates low brake fluid. Consistently low brake fluid indicates worn out brake pads. • A "rotten egg" exhaust odor indicates a dirty or clogged catalytic converter. A tune up checks and cleans the catalytic converter. A clogged catalytic converter also affects gas mileage and overall vehicle performance. • Chugging or "dieseling" after the car is shut off indicates the vehicle needs a tune up. Other causes of dieseling include buildup of carbon in the combustion chambers. Poor quality gas cause chugging and dieseling in some engines. • Knocks and pings from the engine compartment result from carbon build-up in the combustion chambers. These noises may indicate a need to replace the fuel injectors. • The car emits black smoke or a burnt fuel smell from the tail pipes. This may be the result of a clogged O2 sensor. Tune-ups let the car's ignition system, fuel system, emission system, and computer systems work together properly. This leads to optimum combustion chamber efficiency, better performance, and better gas mileage. The car runs its best and emits the minimum amount of pollutants when it has regular maintenance, including tune-ups. Kelley Blue Book's editorial team recently assembled a large group of family cars to see which stood out as truly exceptional. Most drivers are surprised to learn just how quickly brakes wear down. They buy a new car, and before the warranty has even expired, their mechanic is telling them they need new brakes. More often than not, the problem is in the front brakes. Because most of a vehicle's weight shifts to the front when stopping, the front brakes absorb most of the impact. Friction does damage to the stopping system each and every time it is used. The good news is that this damage can be easily and affordably repaired if maintenance is done on a regular basis. The single most common maintenance task is replacing worn-out pads. These steel cushions are attached to the calipers that clamp down on the brake discs and bring the vehicle to a halt. As you might imagine, they experience an awful lot of wear and tear during normal operation. But because they are inexpensive, pads should be replaced as often as needed. 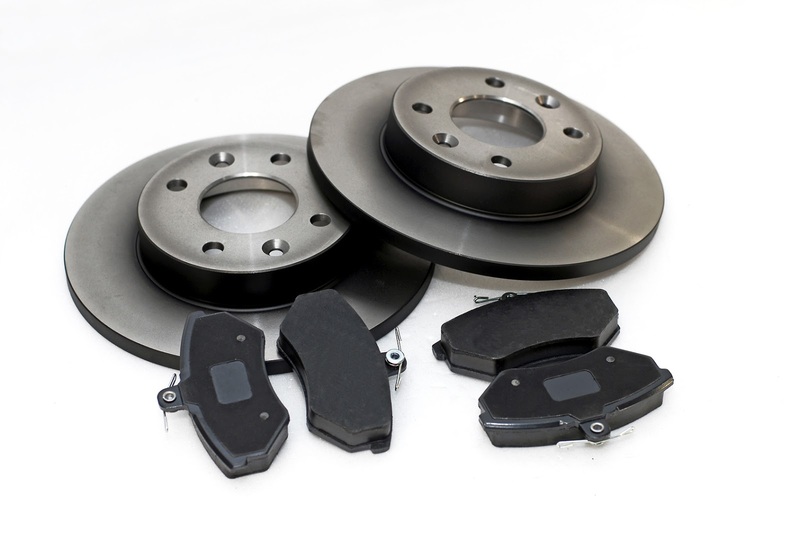 Failure to replace pads can and will damage other parts of your braking system. Most mechanics will recommend replacing them when they wear down to less than 1/8th of an inch. Depending on your driving habits, this can take anywhere from two to five years. Good pads will last about forty thousand miles. When they are replaced on a regular basis, steel pads will protect brake discs, which are far more expensive. Worn-out pads will not provide the protection needed to prevent calipers from cutting deep grooves in discs, grooves that may cause the pedal to pulsate or seize when applied. It might surprise you to learn that components outside of your braking system can have a dramatic effect on stopping distance. In particular, your shocks and struts are responsible for maintaining an even, steady ride. If your vehicle requires shocks and struts repair, it simply will not be able to stop on a dime. The problem? The excessive swaying and bouncing that commonly occurs when these components go bad can rob your car of at least 10 feet of stopping distance, according to testing. The good news is that the average shocks and struts repair is a relatively simple, affordable automotive procedure. Even if the parts need to be replaced, the job shouldn't cost you more than a few hundred dollars. That is a small price to pay for improved braking and driving performance. It is important to add that automotive professionals recommend getting these important components checked every 12,000 to 15,000 miles. On average, shocks and struts repair or replacement is needed every 50,000 miles. In the end, taking proper care of your braking system and the components that affect it saves time and money. It also ensures that your vehicle will be safe to drive for years to come. Winter driving can make your car filthy with dirt, salt, snow, and ice. These are the six sensors you need to keep clean to make sure your vehicle's safety features operate properly.